After reading my Booskie Carrie Pink’s heartfelt Mother’s Day post, I knew that I had to tell my story. 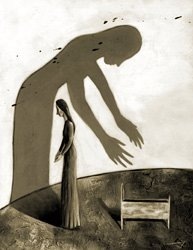 Her story, which you can read here, was absolutely poignant and raw. Every day, I thank God for the woman who birthed me and nurtured me as well as the woman who came along later in life and nurtured me. I am who I am because of God placing these two women in my life. Unfortunately, the father who is very much alive was absent. This past year, after sacrificing and getting sick; I realized that the man who was gifted with me as a daughter was truly unworthy. Some may want to keep secrets but I realized that it is a secret that I no longer choose to keep. After reading the SBM post on Madame Noire whch can be read here, I realized that by not saying anything we enable these men, including my own father to continue doing what they do: Have babies and fail to take care of them. While I stay far away from the belief that this is what Black men do, there is no question that this is what some males do. 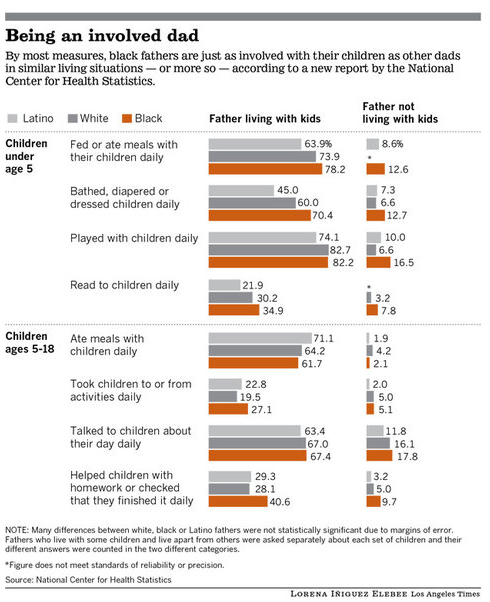 As a matter of fact the CDC recently released data that showed that compared to White and Latino fathers, Black fathers are heavily involved in their child’s lives. Unfortunately, my father does not fall in the involved category. Rather, my father is as absent as one whose father is deceased. The irony is that he is very much alive and involved in the community at large. Somewhere along the way, he forgot that charity starts at home. My father has been blessed with 14 children. While I will not speak for them, I am confident in saying that the legacy that he will leave behind is not one that any man should be happy leaving behind. They say sons need their fathers. The truth is…so do daughters. A father is supposed to be that number 1 man in his daughter’s life that shows her what she is worth to a man. He is her protector. Her role model. Her champion. He is her dad. I am comfortable and confident when I speak for all “Fatherless Children” when I say that I agree that at some point men who fail to handle their responsibility to the gifts that God granted them; children, should not be allowed to have anymore. Some may complain about their rights being taken away but what about those rights of the children they father. What happens to them when they grow up without a father who is right there? At what point will the enabling end? At what point will words of forgiveness stop being bandied about? At what point will those that refuse to acknowledge that they too have been affected by the absence of their father admit the truth if only to themselves? Here is to the men who from the day they knew they were going to be fathers and stepped up and continue to stay in the active fatherhood lane. Words cannot express how happy this makes me. Children are a gift and should be cherished. They are not pawns or tools for advancement. If you are that father who realized this and lives the realities of fatherhood daily, I salute you not just on Father’s Day but every day. My wish is for all men who have been gifted realize that their role in a child’s life is everlasting. Here is to the man who has stepped in and became my Daddy. My life, while still scarred from my real father’s absence, is just that much happier. I love you daddy. P.S. 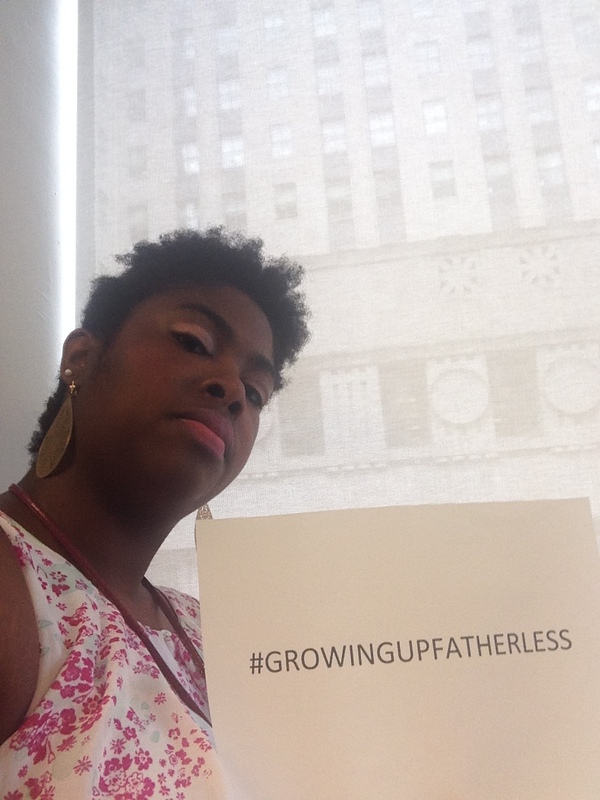 Stay tuned to the “Growing-up Fatherless” Project that myself and two other fatherless children will be debuting. It’s time to celebrate good fathers, ostracize bad ones and empower the children that suffer from the decsions made.